The last day of sampling in Kobberfiord!! Still good weather on 30, July 2017 with no wind at all and still thousands of mosquitoes! Claudia&Claudia are very lucky with the weather during our sampling, the weather prediction for the next week will be mainly rain and fog and they know last week was bad weather for sampling. They decided to sample also around the lake Badesø, near the Climate Monitoring Area, to take advantage of the climate data available on the INTERACT website with the microbial biodiversity. This area was very wet, characterized mostly by FEN vegetation, but they sampled where sampling is possible. Walking back to the cabin, the landscape was amazing, the lake water was so clear that you can even count every stone in the deep, and the sun was reflecting on lake surface, with a breeze air on our face…oh what a beautiful day!! Oh, as good mycologists, they got in confusion and sampled many mushrooms!!! They are good to eat, so let’s do Italian PASTA with mushrooms!! 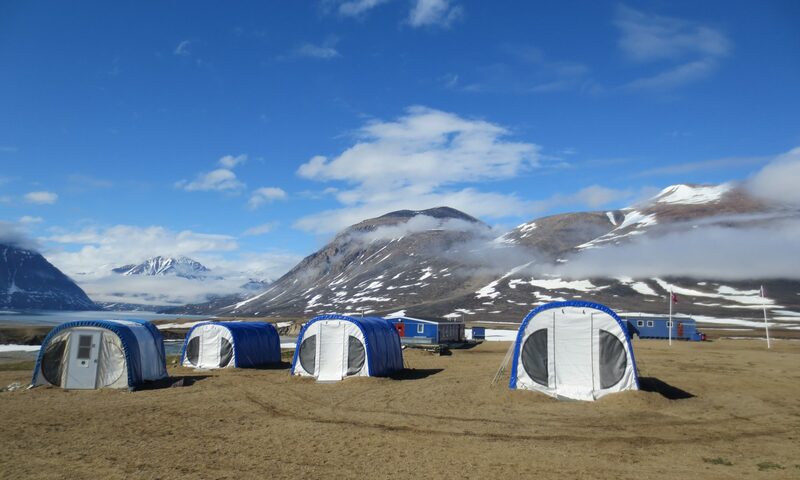 Anyway, we have done for now in Kobbefjord field station and they will come back home with almost 70 soil samples and looking forward to analyze them and understand these peculiar ecosystems. We are going to analyze the microbial communities using Amplicon Sequencing (Next Generation Sequencing) approach to see which bacterial and fungal species are predominant in that area, to investigate the biodiversity and how it changes according with altitude and vegetation gradients.according with altitude and vegetation gradients. Total samples. We got a lot of work! Goodbye Kobbefjord! We are going to miss your sunset!! Back to the “real life”, we are so happy for our first Arctic expedition and we are very enthusiastic about this adventure. The Kobbefjord area is perfect for our purpose and the cabin is very comfortable and equipped and became immediately “our home”. last but not least all of you for reading our experience. Still sun shining in Kobbefjord Field Station. The weather should be nice (about 15 °C) for the whole weekend and no wind. Today Claudia&Claudia finished to sampling the vegetational transect and in the afternoon, they did scientific reports for all sampling. Just to know something about the NERO line…this permanent vegetation transect was established in July 2007 in order to monitoring future changes in the location of boundary lines between vegetation zones and in the species composition of the plant communities. About the sampling…We have chosen PLOTs in the vegetation gradient according to the vegetation types and altitude. Each boundary between vegetation zones has been marked by pegs, so we mostly follow the pegs and sampled about 10-15 meters far away the NERO line to not modify the vegetation on the transect. Claudia Pacelli during the sampling. The vegetation was classified into types based on the species composition, physiognomy, and species diversity in addition to water contents of the soil, expected snow cover, and terrain aspects. Unlucky we cannot sample in the “fen” that is predominant vegetation in the middle of the transect because it is too wet and we cannot walk by. The vegetation around the transect. Anyway we will compare this 3 types, according also with the altitude. We have established an altitude gradient, from 0 up to 109 meters asl, going up of 20 meters PLOT by PLOT. What we did? We remove the vegetation on the surface and collect about 5 g of soil. The vegetation was put again on the surface in order to minimize the impact of our sampling on the vegetation. For each plot we sampled in triplicate, for each sample we took measurements of the soil moisture, GPS-positions (accuracy 5-10 m), and took some pictures about the sampling and the surrounding environment. In the evening, as a very good Saturday night we enjoy the time with the other researcher doing very good danish-style pancakes!! Thanks Mathias for cooking these for us and for sharing the PORTO wine with us! Bye bye from Claudia&Claudia, Mathias, Sebastian and Kristine!! Wake up girls!! It’s time to work. After breakfast they continued to sampling along transect NERO LINE. They would like do a sampling along an altitude gradient coupled with vegetational transect to investigate how and if microbial diversity could change according the environmental pressure and different dominant vegetation. Also, they are sampling soil at same altitude but in sites dominated by different vegetation. Claudia&Claudia finally reached Kobbefjord at 9.00 am by a small boat. Once there they saw the famous millions of mosquitoes (people in Nuuk talked them about it but they could not imagine so many!!). Some researchers there were in the cabin station and right there Maya (a researcher of Greenland University that works with vegetation and she spend almost all summer in Kobbefjord) showed us the basic rules, instruments and all stuff in there. After their accomodation in the cabin, they talked with other researchers about the surround field sampling and which sites would be suitable for our purpose. Two of them showed to them the surrounding area and some climatic monitoring areas. After lunch, all the people in the cabin station left Kobbefjord with the 3.00 pm boat and Claudia&Claudia were now alone in Kobbefjord. They started to do some soil sampling along a vegetation transect called NERO LINE (see the link for other info http://dce.au.dk/udgivelser/udgivelser-fra-dmu/faglige-rapporter/nr-650-699/abstracts/fr693-gb/) created by Christian Bay who they met in the morning and showed them the NERO LINE transect. Once they back in Italy, Claudia&Claudia will analyze how microbial diversity changes according the vegetation and altitude (0 to 109 m asl). Claudia&Claudia are ready for leaving GINR at 8.15 am on tomorrow. They will reach Kobbefjord field station by boat and start to sampling. Kobbefjord is a field station between Low and High Arctic and is characterized with different biotopes, providing access to low arctic ecosystems in West Greenland and soil samples will be collected in different sites, chosen along a latitudinal gradient ranging from dwarf-shrub heaths to grasslands. All info about Kobbefjord field station can be found here: http://www.eu-interact.org/field-sites/greenland/greenland-institute-of-natural-resources/. The next days will be very hard for them, since there is no phone connection, no people to meet and billions of mosquitoes (unbelievable!!! ), but they are prepared!!! And as all very good italians, they will cook!! 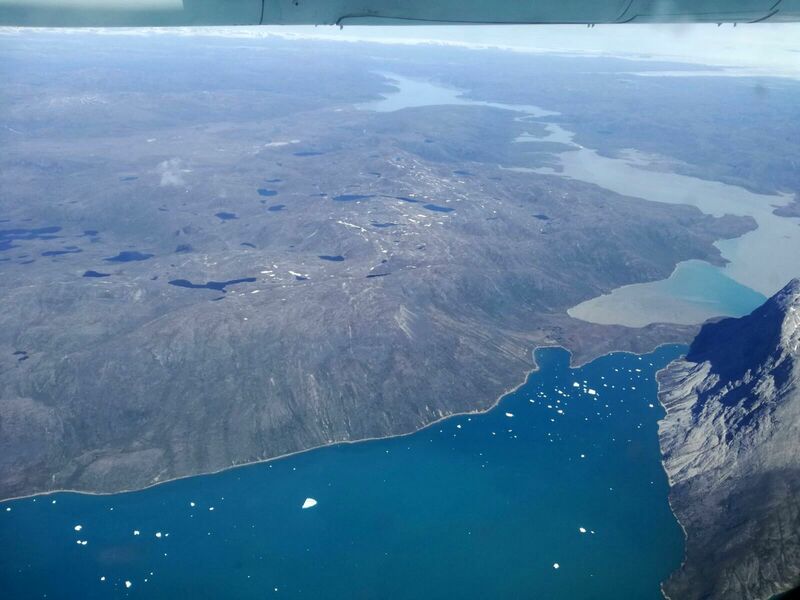 Finally Claudia&Claudia landed with this amazing view in Nuuk from Rome with 2-stops (Munich and Reykjavik) and reached the Greenland Institute of Natural Resources. Wheater is quite okay (10°C) a little warmer than their own Italy (40°C). After check-in in GINR, they rested a little and started to arrange the expedition in Kobbefjiord field station with Katrine Raundrup. When people talk about catastrophic climate change, there’s a fair chance that Greenland is on their mind. One-twentieth of the world’s ice is locked up atop this island, and if it were to melt completely, global sea levels would rise by seven meters. 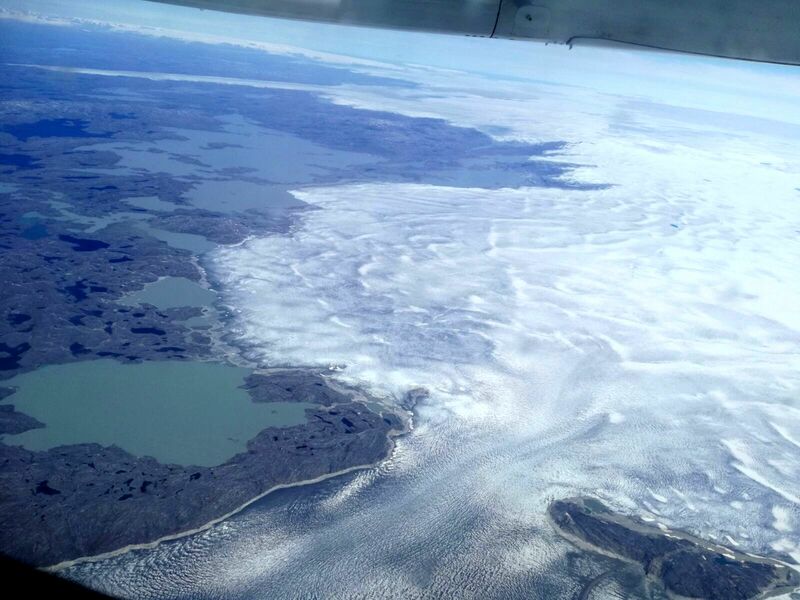 The collapse of the Greenland ice sheet is in the front rank of potential climate catastrophes. 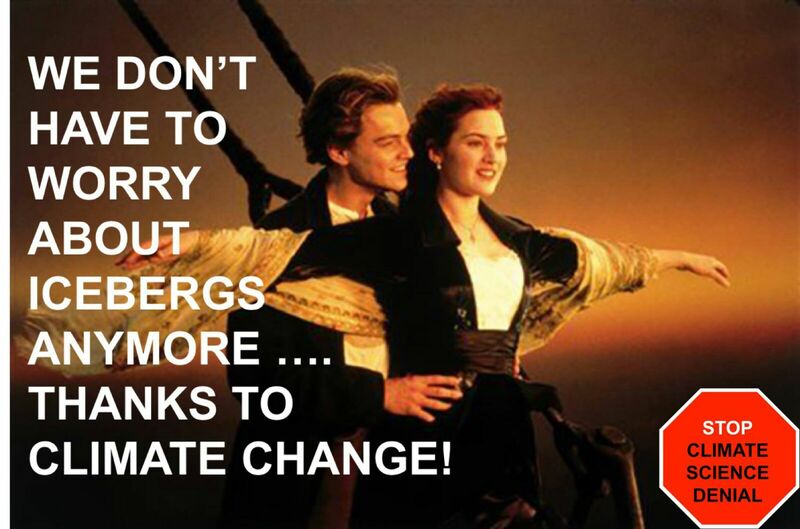 Melting is already undoubtedly and dramatically underway. 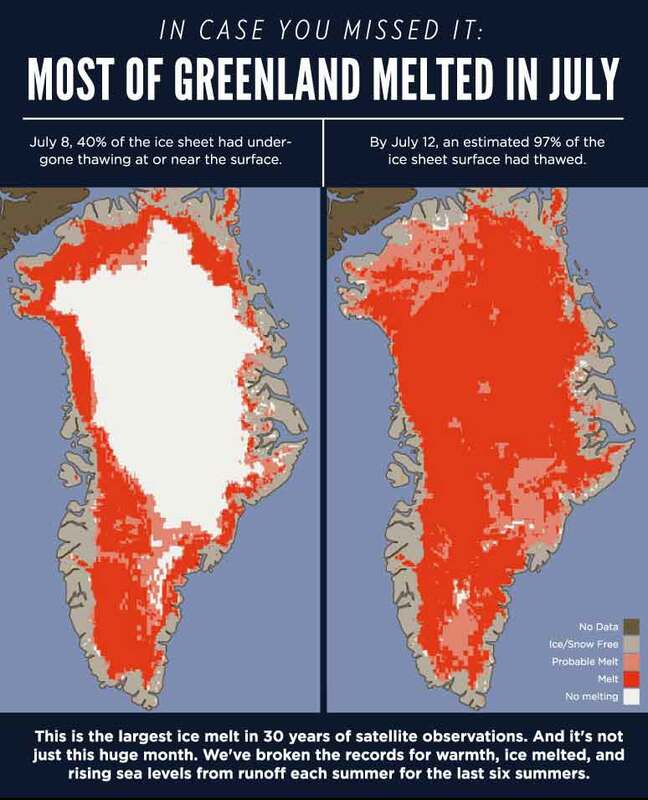 Over the past four summers, Greenland has shed an average of between 380 billion tons and 490 billion tons of ice each year — on average 150 billion tons more than it gains in snow in winter. Okay, the first day in Greenland is gone, sun is still shining and just to go deeply in this theme, they will watch TITANIC tonight.